They're amazing. And since they cost more than my rent, I'm left emulating them at home. I've found quite a few DIY posts (namely this one) floating around and finally decided to try them with Brigitte. We looked for a cheap pair of heels, but ended up with wedges and thought this would be an interesting way to bring in the accent of color (like in the Miu Mius) by painting the sole and wedge a color, and applying the glitter to the upper. 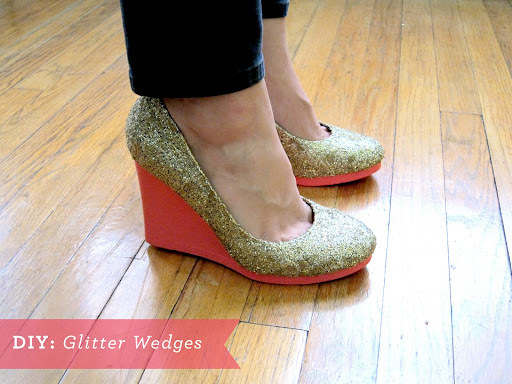 We found these wedges at Target, they were about $25. 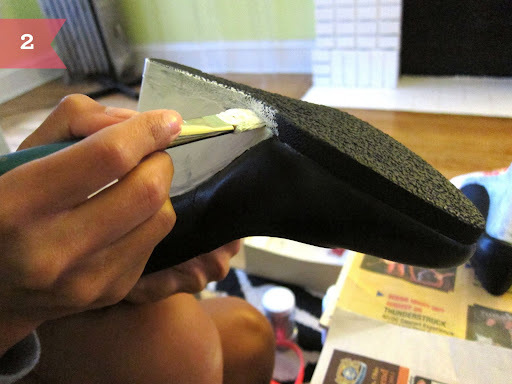 Wipe the shoes clean, and brush one coat of gesso over the sole and wedge. 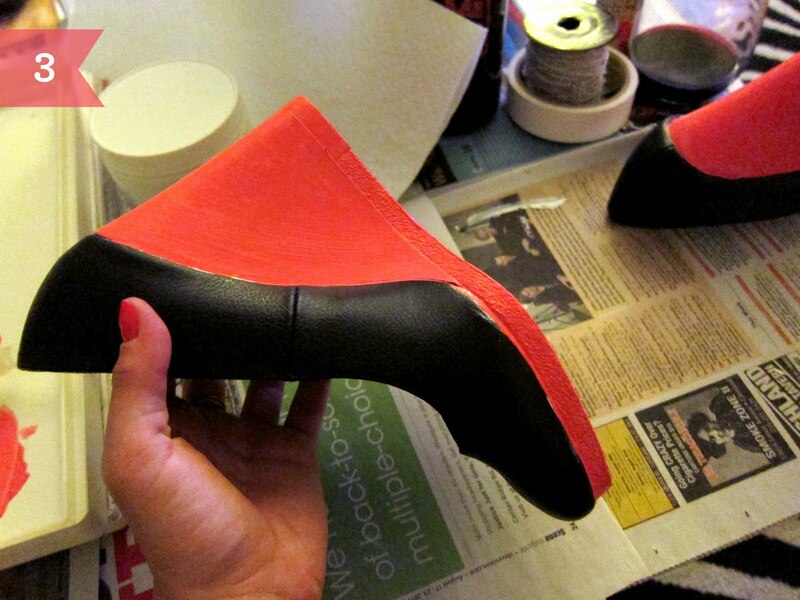 We painted the bottom of the shoe as well so the black was totally covered. 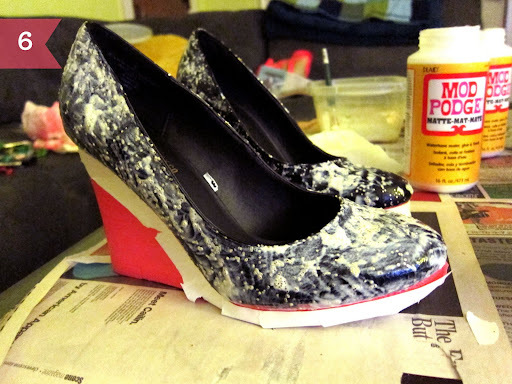 After the gesso dries (about 30 minutes), apply two coats of paint, allowing them to dry in between. This process takes some time, so I recommend a glass of wine and a good show. I used a coral pink paint (to go with gold glitter) and Brigitte used turquoise to go with silver glitter. *In retrospect, we should have added a step here. After finishing, we both realized we should have also painted the upper of the shoe to match the color of the glitter, so the black gaps weren't as apparent. We solved that with metallic paint pens at the end, but I would recommend painting the shoe just to make it easier, and to give it a solid colored base for the glitter. 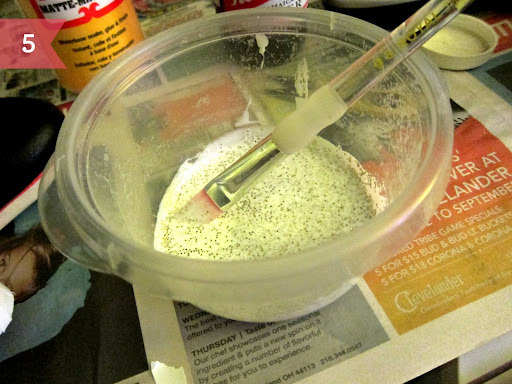 Next, mix the glitter and glue together in a bowl. You can use whatever ratio you feel is best, ours was about 1:1. 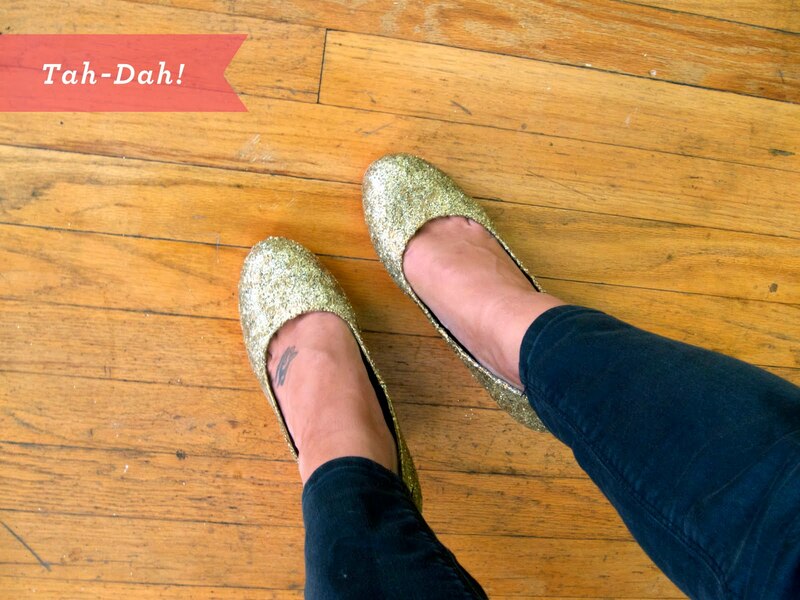 By mixing the glitter in with the glue, it won't shake off and make a mess. Brilliant! Tape off the painted area, then brush the glitter over the shoe. Here is what it looked like after one coat. And here they are after 3 coats. Starting to lay on thicker (and taking longer to dry). 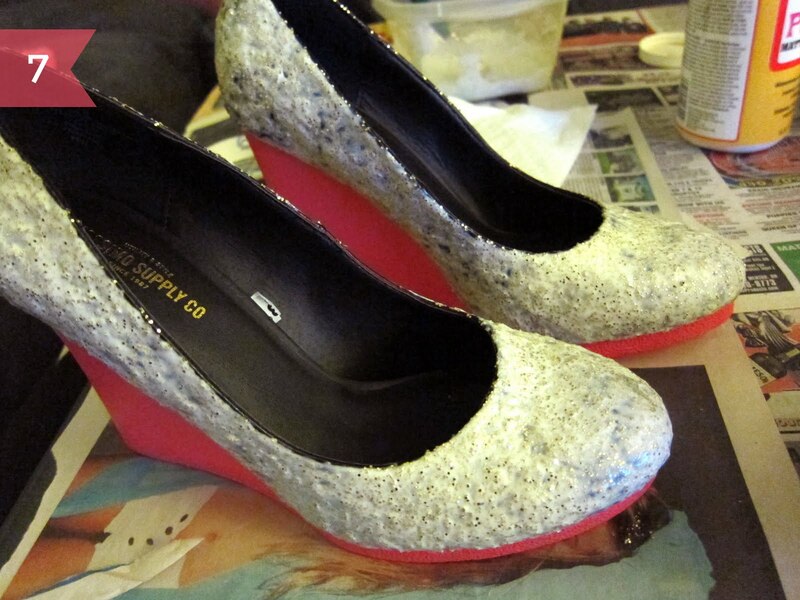 We did about 4 coats, and on the last coat, shook some loose glitter onto the shoes to fill in any gaps. Be light-handed about the loose glitter, as it will be more likely to fall off. 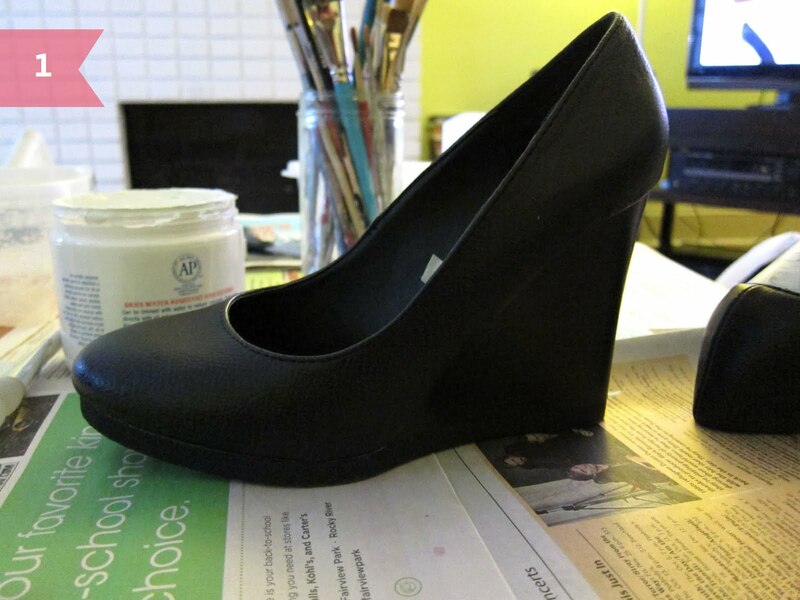 After the final coat dried, we shook off any loose bits and sprayed the shoes with a light coat of spray fixative to seal them. Then they're done! And you've just saved yourself about $850. High five. Soooooo cute! 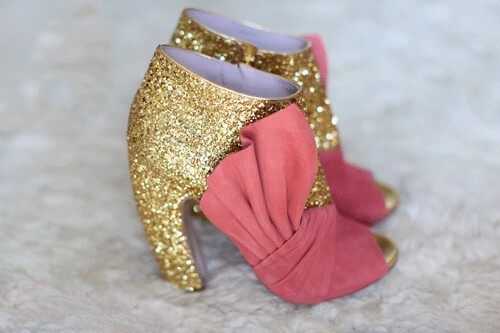 Must make you want to click your heels together! AMAZING! I want to make!